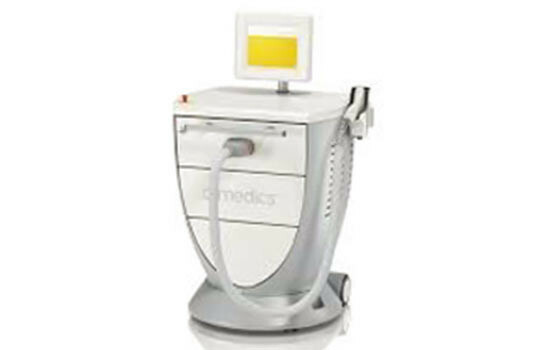 The cymedics diode acts on the basis of selective photothermolysis and targets melanin from a process point of view. The pre-programmed settings make its operation very easy and safe. In order to take into account users’ different levels of experience, cymedics diode offers two different modes of application. The proposed power settings can be changed in the guided mode, while in professional mode experienced users can vary pulse length and frequency for enhanced results. Initially, the user can set person-specific data such as skin type, gender, body area, hair density, hair colour, and hair thickness. The parameters to be used are then calculated by cymedics diode using this information. 1. Hair roots and blood vessels which supply nutrients are completely destroyed to prevent regrowth. 3. Individual settings for experienced users allow further refinement to achieve the best possible results. 4. Particularly durable and safe-to-use filter made of high-quality sapphire glass. 5. Stronger contact cooling for virtually painless experience and unmatched patient comfort. 6. Continuous 24-hour operation possible with no need for ‘cooling down’ period. 7. Low cost of ownership with no disposables. The Electron Reploarising system is a new revolution in electronics. It is so new that most people may not have heard about it. Electron Repolarising System is the result of a groundbreaking research that makes it possible to replenish the consumed electrons of various laser and electronic parts after the machine is turned off. This contributes to the longer life of all the electronic components used in the equipment and also ensures consistently high performance throughout that life. There is no drop in performance with aging, even after years of use. The cymedics diode is the only device in the international market with this 1Permanent hair reduction using an innovative and safe method, which is gentle on the skin.